The "My..." series is a visually rich, task-based series to help you get up and running with your new device and technology and tap into some of the hidden, or less obvious features. 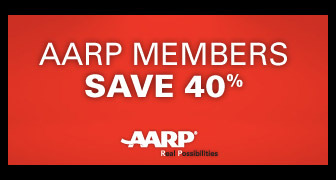 This series also includes "For Seniors" guides, a collection of how-to guide books from AARP and Que that respect your smarts without assuming you are a techie. This series is designed for the kind of person who doesn't need to know the hows and whys of a subject, just how to perform basic tasks and get it to work. No experience required! The In Depth series goes beyond the basics and dives beneath the surface of a technology to provide a detailed, thorough, and comprehensive look at a topic. You can rely upon the In Depth series to provide breakthrough techniques and shortcuts and practical, real-world examples that you can apply every day. Conrad Carlberg, a nationally recognized expert on quantitative analysis and data analysis applications, shows you how to use Excel to perform a wide variety of analyses to solve real-world business problems. Employing a step-by-step tutorial approach, Carlberg delivers clear explanations of proven Excel techniques that can help you increase revenue, reduce costs, and improve productivity. With each book comes an extensive collection of Excel workbooks you can adapt to your own projects. Titles in the MrExcel Library provide practical, real-world scenarios that demonstrate how to benefit from and explain how to avoid the pitfalls of everyday data crunching. Bill Jelen, Excel MVP, founder of MrExcel.com and best-selling author, will help you get to the next level in Excel proficiency by pinpointing a certain task (e.g. formulas, functions, pivot tables, or programming) and delivering specific information to help master the subset at hand. Scott Mueller is a trusted authoritative hardware voice in the industry and has taught hardware repair to thousands of computer professionals and enthusiasts. For over 20 years, Upgrading and Repairing PCs has been the industry's #1 guide to PC hardware: the single source for reliable, step-by-step information on identifying and fixing problems, adding hardware, optimizing performance, and building new PCs from scratch.